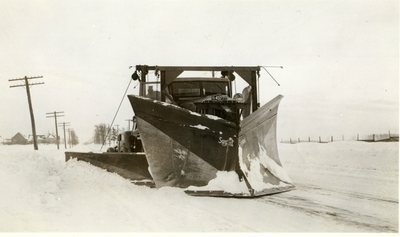 "Snowplow, Maine State Highway Commission "
An image scanned from a black and white photograph of a snowplow on a winter roadway. Saved within a collection of photographs related to the Maine State Highway Commission 1900-1950. The photograph itself is not dated.